Founded by Sven-Olof Lindblad in 1979, Lindblad Expeditions has earned a reputation for creating eye-opening expeditions to out-of-the-way places. Operating a fleet of small expedition ships that nose into ports where cruise ships cannot go, the company prides itself on providing adventurous travelers with original and authentic experiences. Important components to all of Lindblad’s cruises, the company’s on-board expedition leaders and naturalists (all experts in their field) have a passion for helping travelers uncover — and interpret — the mysteries of nature and history. Lindblad emphasizes responsible tourism and has been the recipient of many environmental awards. Cruise Style: Small ship exploration in such exotic regions as the Arctic, Antarctica, Alaska, Baja California, Central America, Galapagos and Europe, including the far Arctic reaches of Norway. Billed as offering “an adventure rather than a scripted sightseeing tour,” Lindblad’s National Geographic Endeavour is equipped with a fleet of Zodiac landing craft, kayaks, a glass-bottom boat and high-tech underwater equipment, including an ROV (Remotely Operated Vehicle) underwater video camera for viewing sea creatures hundreds of feet underwater, shipwrecks or even the underside of an iceberg. One of Lindblad’s founders, Lars-Eric Lindblad, led the first nonscientific expeditions to the Galapagos in 1967. Today, the company has two ships based in the Galapagos year-round, offering weekly departures. Both offer complimentary wet suits, masks, fins and snorkels for those who want to explore underwater; and kayaks for those who want to explore from above. Lars-Eric Lindblad also operated the first cruise to Antarctica, where on every expedition today, Lindblad Expeditions carries two penguin researchers. Supported by a joint fund with the National Geographic Society, the researchers invite passengers to participate in their study of penguin populations. Lindblad Expeditions’ underlying mission is to introduce “curious and intrepid travelers” to the “international capitals of wildness.” The far-flung reaches of Alaska, Antarctica, Baja, Central America and Galapagos serve up what the company calls “the most fascinating, unspoiled and life-enhancing destinations on the planet.” That’s not to say that Lindblad ignores traditional destinations, because its ships also sail in Europe, the British Isles, Caribbean, Mediterranean and the Baltics, but the emphasis is always on active exploration and learning. Of the more popular learning opportunities are Photo Expeditions, developed in collaboration with Lindblad’s partner, the National Geographic Society. Photo Expeditions offer passengers opportunities to shoot in some of earth’s most engaging destinations with some of the world’s greatest photographers. Lindblad offers active vacations, and if there were icons for the cruise line, they might well be the kayak and Zodiac. All ships offer opportunities to launch from small ships to even smaller vessels for exploration of the marine world. Food. Breakfast, lunch and dinner are all open, single-seating. Breakfast and lunch typically are served buffet-style, although you may order eggs and omelets from the kitchen. Afternoon tea features sandwiches and suites, and cocktail hour features hors d’oeuvres. Dinner typically consists of two entrees — meat or fish — as well as several “always available” items. Your Shipmates. Lindblad considers its passengers to be active, engaged explorers , and indeed the cruise line appeals to inquisitive minds who enjoy exploring — and learning about — the planet. With a demographic aged 55-plus, Lindblad’s passengers are likely to be fit for the many activities that the cruise line offers, including hiking, snorkeling and kayaking. Dress Code, Service & Tipping. Dress code is informal, leaning toward expedition-style clothing and gear. No need for jackets or evening gowns. Likewise, service is professional but without pretense. 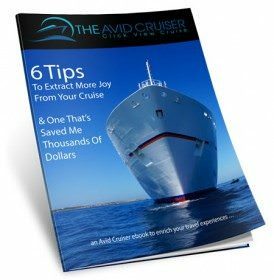 Recommended gratuities for the ship’s crew is $10 per day per passenger. You prefer learning over relaxing on your vacations. You want an active vacation in out-of-the-way destinations. You desire to travel with like-minded people who want to learn more about the world they live in. You require the large-scale entertainment activities found on big cruise ships – comedians, musical revues, cabaret acts — then you will probably be happier elsewhere. You require big-ship amenities such as large spas and fitness areas. Lindblad’s ships feature small fitness areas and small saunas or spas, but the fitness emphasis is on putting your boots on the ground for hikes or paddling kayaks through serene coves. You could care less for learning more about nature or the natural environment. Lindblad’s goals are to educate and illuminate people about the world they live in. For Lindblad Expeditions cruise ship profiles, click the links below. 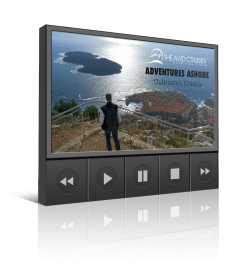 Avid Cruiser Posts, Photographs and Videos Featuring Lindblad Expeditions.